Do you know when tickets can be purchased? Are there privileges for belonging to a fan club? Applications will be accepted from April 21 through April 30. It has yet to be officially announced. Fan club members can sit in a seat with a good view. IS that the same guy who does those VTRS for New Japan Pro Wrestling? Mini Cheer Bears and Team Daiou Ika will come back. it was announced in Rock A Japonica Live today. What?? 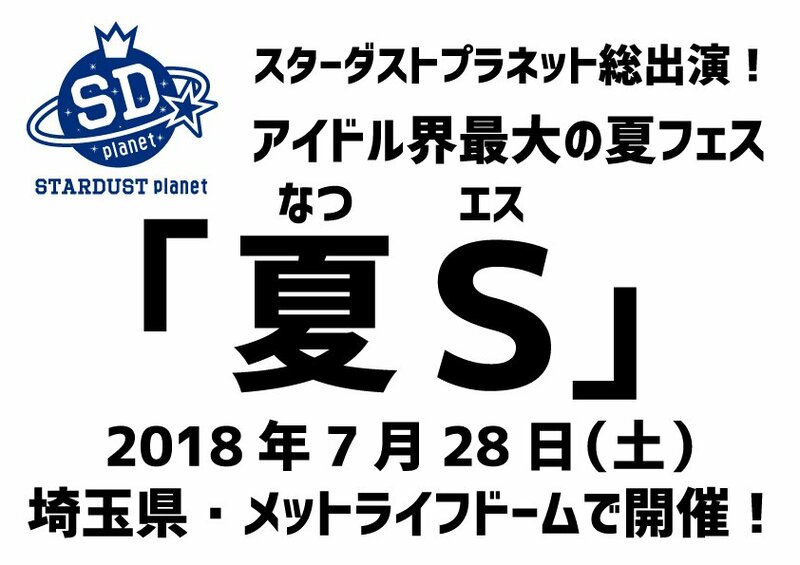 More Stardust Planet Groups? They Will be presents in Natsu S? Where are "the GIRLS"? Is it just me or sholdn't they rather concentrate their money and efforts on maintaining/enhancing quality of the existing groups? The Girls belong to Stardust Section 1. They look like models and seems to be good at dancing. So I don't think they going to be Mini-Bears which its concept is cheerleading. (Edit) and Mini-Bears members are in primary school. But A lot of The Girls are middle school. By the way, I don't think they gonna add the new group for now. It would be old member gathering together again. 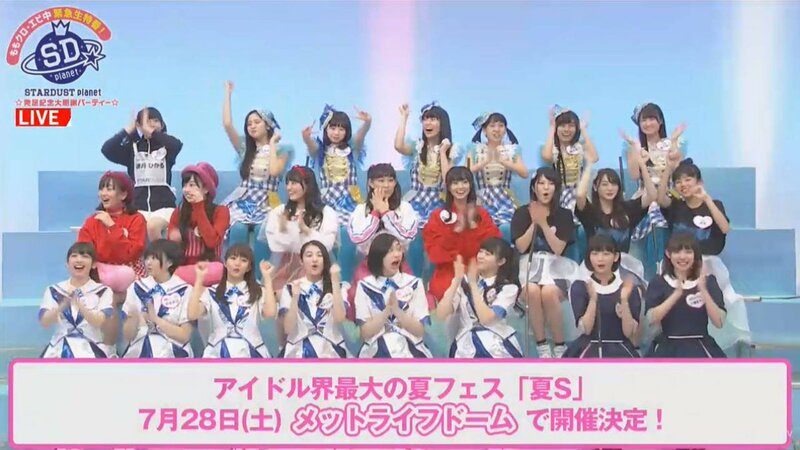 You know, a lot of former members will be on the same stage. Not only new special unit (like Tenkasu Trio at that time) or shuffle song/member. This is the revival. New details are announced. Is someone encouraged to translate it? To Momoclo 10th anniversary, Ebi Syachi Tako Bassho... will perform Momoclo's songs. It will be announced in May 14. Kawai voices: Aarin, Honoka, Maimai, Hikaru..